 The Trust’s policy manager Meg van Rooyen considers the FCA’s recent consultation on creditworthiness, and the urgent need for public policy solution on affordable credit. Today sees the close of the FCA’s consultation on its rules for assessing creditworthiness in consumer credit lending. Here at the Trust, we have responded positively to the approach the FCA is taking in many ways. For instance, we support the regulator’s approach to clarifying the meaning of affordability and to make the definition explicit within the rules, and it is also welcome that the FCA is to make it clear within the rules that creditworthiness includes both the risk to the lender and affordability for the borrower. There is a big dilemma here, however, for anyone who is concerned as we are about the huge problem of financial exclusion in the UK. There needs to be a balance between sensible requirements on lenders to assess affordability and the risk that more people on lower incomes will lose access to credit. One worry I have over these proposals is the potential unintended consequence of more people being refused credit or pushed into using more high-cost forms of credit or illegal lending. It cannot be right that higher-risk consumers may be faced with missing payments on essential bills as a consequence of losing access to credit. There needs to be an adequate safety net for people who cannot afford to take out credit and are ineligible to do so under the creditworthiness rules. Eligibility for help should not be restricted to those who qualify for specific benefits only. For example, the proposals need to take account of the increasing numbers of people who experience fluctuating incomes due to zero hours contracts, seasonal work, self-employment in the ‘gig economy’ and so on. The question of whether these proposals could result in further exclusion from mainstream credit for these groups should be considered. It is worth reminding ourselves that financial exclusion can lead directly to financial difficulty and debt problems. The poverty premium that increases costs and pressure on already stretched budgets, a lack of access to affordable borrowing can lead to people turning to high cost credit or even illegal lenders and a lack of savings leaves consumers without a cushion to protect them from future income shocks. An alternative to the social fund? There needs to be an adequate safety net for people who cannot afford to take out credit and are ineligible to do so under the creditworthiness rules. The local welfare assistance schemes that replaced the social fund in England have not provided an adequate substitute for grants and interest-free loans for people on benefit-level incomes – and worryingly, these schemes now appear to have been substantially hollowed out by many local authorities. The FCA is already well aware of the risk of more people falling through the cracks without having recourse to adequate alternatives e.g. for the purchase of essential household goods such as washing machines and cookers. Credit unions and other not-for profit lenders such as CDFIs would be well placed to help, but are equally bound by affordability rules and are unable to provide credit to those who cannot afford to pay. They cannot lend to everyone. Many of the people who need the help most urgently will not be creditworthy and therefore not eligible for a loan. In addressing the lack of affordable credit, the Government, regulators and the banking sector alongside other stakeholders should also look to examples of policy outside the UK. A truly innovative response would be look at the example of Australia. The National Australia Bank has partnered with The Good Shepherd Microfinance and the Australian Government to offer a range of shop-front community finance products such as Good Money, and the No Interest Loan Scheme which is the Australian equivalent of the social fund budgeting loan scheme. This partnership also offers low-interest loans for low-income households through an initiative called StepUP. We also need to consider whether savings could help – for example through widening the reach of the government’s new Help to Save scheme, looking at the feasibility of work savings schemes, or the interesting proposal from our friends at StepChange Debt Charity of using the auto-enrolment system to build up precautionary savings. The Good Shepherd scheme – again from Australia – should also be considered. Ultimately, there are limits on what the FCA can do in addressing financial exclusion challenges such as a lack of access to affordable credit. 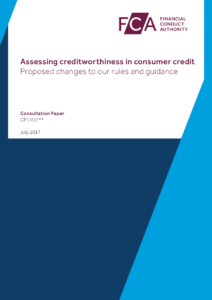 In considering responses to its creditworthiness consultation, the regulator must of course take care not to exacerbate this problem – and use its influence within the wider public policy arena. People on low wages and benefit-level incomes need access to grants or affordable credit at low interest or on an interest-free basis. There is clearly an ongoing need for grants and affordable loans for household goods like cookers and washing machines. This need does not go away when people are getting debt advice. A need to replace a broken fridge can derail a financial statement completely. An urgent public policy solution is required. Read the Trust’s full response to the FCA’s Creditworthiness consultation here.